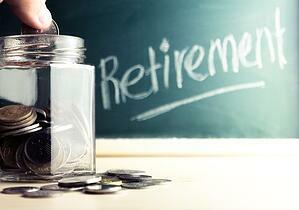 According to a Bankrate Financial Security Index survey, 5 percent have absolutely no retirement savings. That's not a huge number, but when you add it to the 35 percent of all adults who only have a few hundred dollars in their savings account, and the nearly 30 percent who are older than 55 with no pension, you have an equation that equals financial disaster. Obviously, those with little or no retirement savings are doing it all wrong. What about those who are saving? According to a survey conducted by GOBankingRates, only about 15 percent of Americans are getting it right – and not all of them are getting it entirely right. In 1970, the life expectancy for men in the U.S. was 66.6 years. For women it was 73.1 years. Today, the average life expectancy is more than 78 years. People are living longer, which means they are going to need more money. The right thing to do when it comes to retirement planning is to plan to live for a long time – and then save enough money to allow yourself to do so comfortably. The sooner you start saving, the sooner you can start taking advantage of compound interest and the more money you'll have for retirement. Those who are only serious about saving later in life will experience a severe disadvantage – even if they are putting away copious amounts of money – because they won't have the time to make the most of compound interest. Those who start early allow themselves the time to do the heavy lifting and they almost always wind up with healthier retirement accounts. This piece of advice is worth its weight in gold – sometimes literally. As a parent, you'll probably want to help your children get off to a good start after they've graduated from college – but it shouldn't come at the expense of your financial future. Sometimes you have to allow your adult children to fend for themselves. It's better that they have to learn to scrape by on mac and cheese while living in an apartment with three other people now so you don't have to tomorrow. Always pay yourself first by funding your retirement accounts. Even if you are methodical and purposeful about retirement planning, one unexpected event can leave you in a precarious financial position. So plan for it. It could be an injury, an illness or a stock market crash like the one in 2008 that wiped out billions of dollars in 401(k) savings. Expecting the unexpected means saving, diversifying and taking an active role in retirement planning. And never count your chickens before they have hatched. Yes, a 401(k) is a great tool, but it shouldn't be your only tool. Invest in bonds, too. But don't stop there. Mix in some non-correlated investments (those that are not affected by the ups and downs of the stock market), such as life settlements, whole life insurance and real estate. Diversifying your portfolio protects you against stock market crashes and helps ensure you will have the necessary liquidity to withstand the unexpected events that can wipe out your savings. The first step to retirement planning is saving. The second is doing it the right way. For help, connect with us so you won't have to worry tomorrow and into the future.